Tonight I’m reviewing the #013 Lightweight Paper Refill, available from Goulet Pens and JetPens. I’d heard rumors it was a close comparison to the legendary Tomoe River Paper, so of course I HAD to test it out. 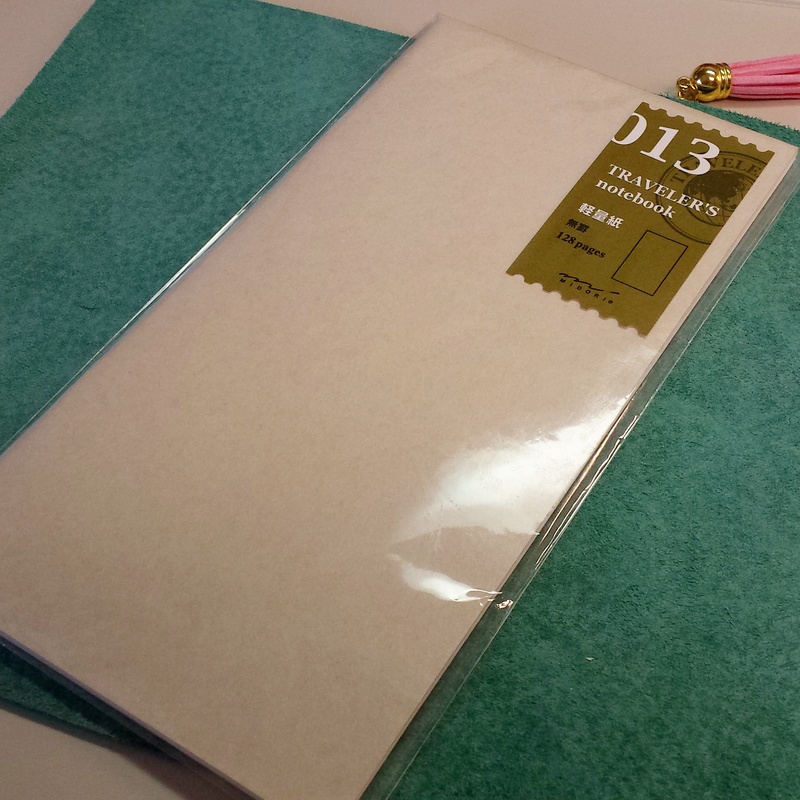 I’m feeling lazy tonight so here are the vital stats directly from the Goulet website: “This refill for the regular size Midori Traveler’s Notebook measures 11cm x 21cm (approximately 4.33in x 8.25in), and contains 64 sheets (128 pages) of white blank paper. Refill made of light, thin paper. Contains twice the pages of regular refills (128 pages), this is recommended for users who do a lot of writing. So, first impressions. The notebook is packaged the same as other Midori refills. 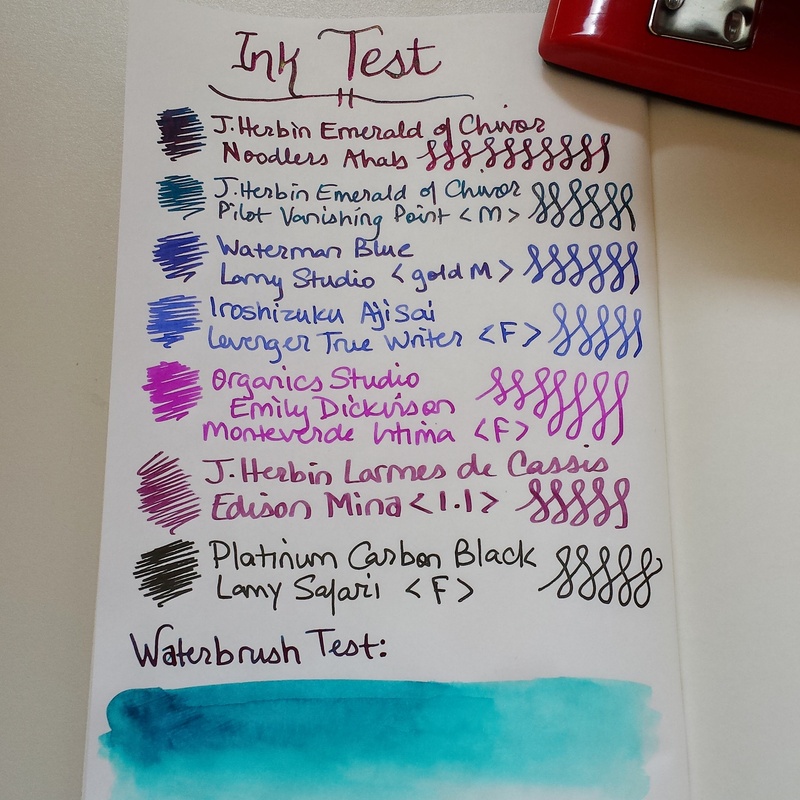 But what we all want to know is how it takes fountain pens!! So here’s my swatches from currently inked pens. All the colors really pop against the white paper! Can you see how the Emerald of Chivor already seems really red when written with my Noodlers Ahab? No feathering, no bleeding – beautiful paper. And of course, I had to test a waterbrush on it. 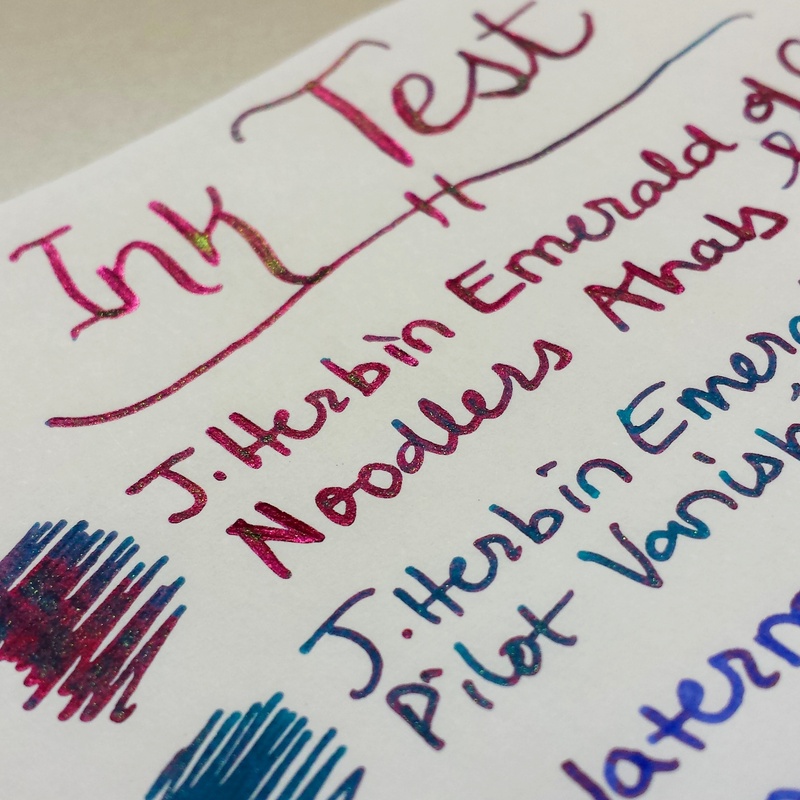 Do you SEE the gorgeous red sheen on this paper!? Oh. My. Goodness. LOOOOOOK! The back side of the same page. The paper when run over with a waterbrush gets really ripply at first, but then smooths out a little as it dries, and you barely notice it. As seen in the pic below, definite ghosting as is typical of Tomoe River Paper, but no bleedthrough, except for a tiny part I ran over with the waterbrush too many times. The obvious ghosting can be distracting to newcomers to this lightweight style of paper. A common suggestion is to put a heavier piece of paper behind it when writing, and then you don’t notice the ghosting as much. 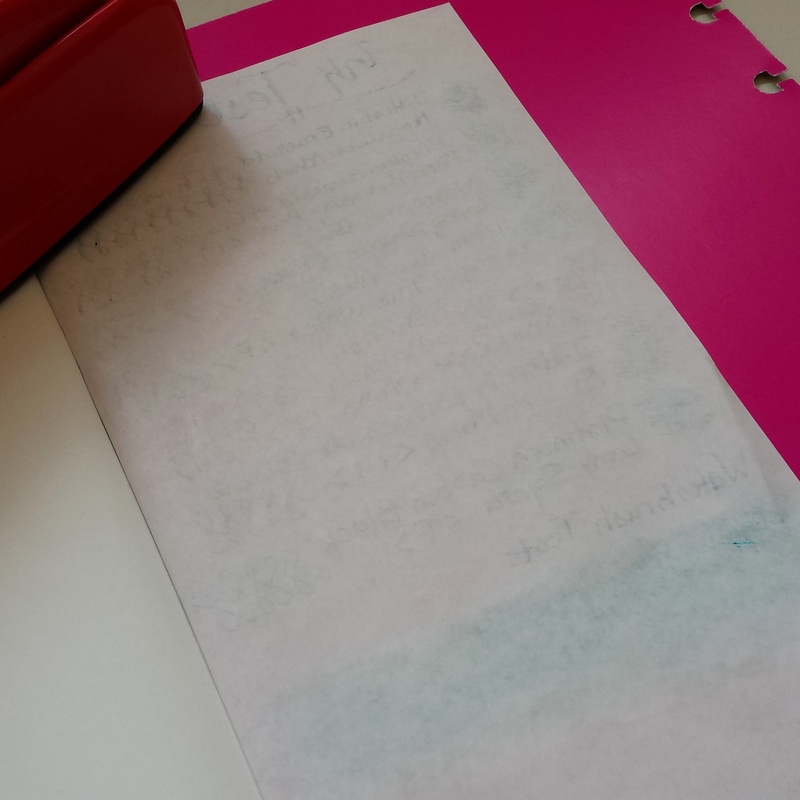 For comparison purposes, here is a bright pink piece of paper behind the page. The ghosting is minimized somewhat, but you can still see it. 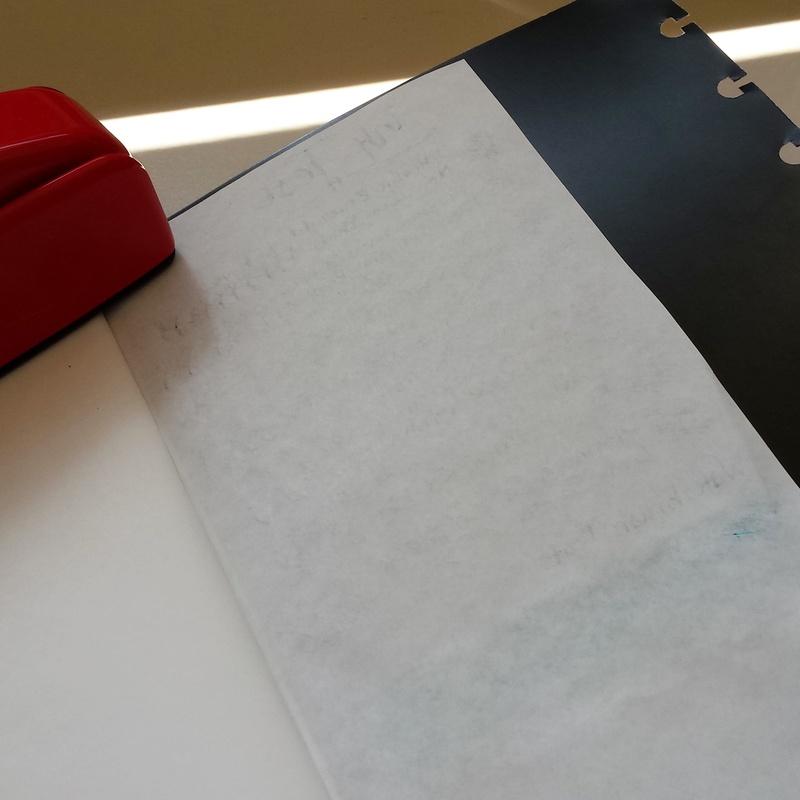 This time, black paper is used behind the page to really minimize the ghosting effect. This makes the text on the other side much less distracting. Conclusions? 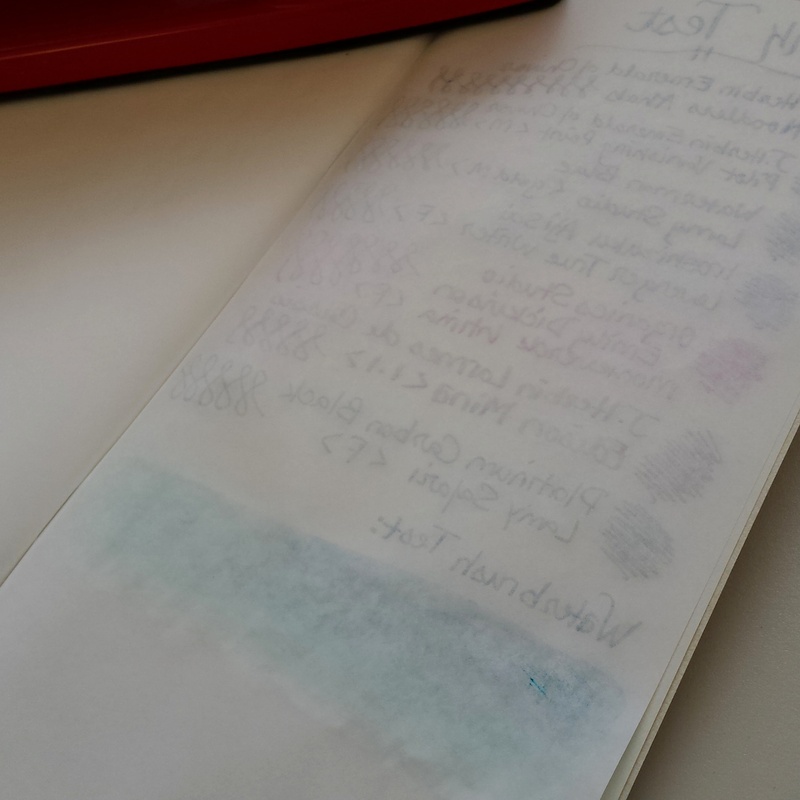 I’m really excited to have a notebook full of Tomoe River Paper (whether real or very very similar!) 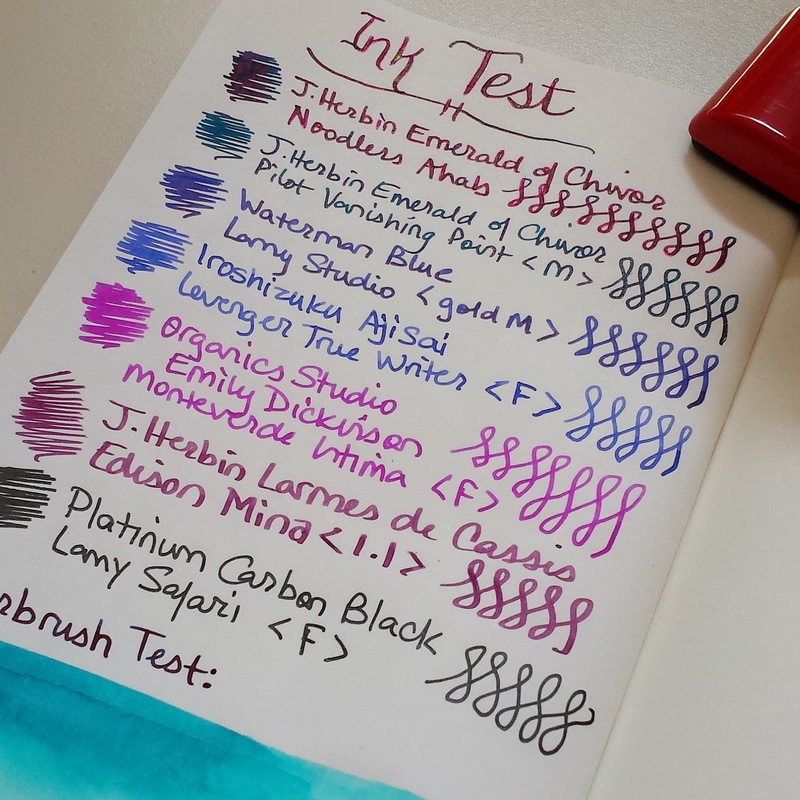 and my initial pen tests show some amazing sheen and color quality. And it’s double the page count of a normal notebook, so it seems like win win. I definitely recommend trying this notebook out.